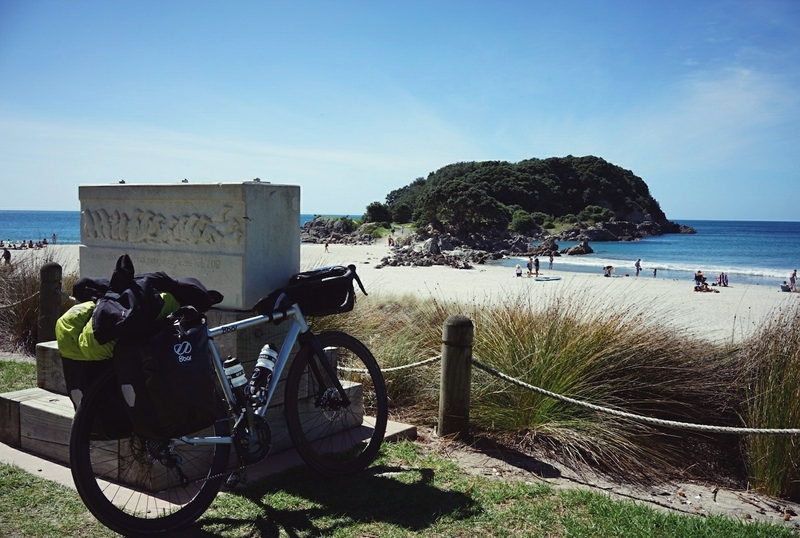 New Zealand by bike? Why not?! Roberto from Italy is an adventurer who discovered several destinations by bike so far. Now he has been to New Zealand with his 8bar MITTE for a couple of weeks. Here is his story. Prepare to become jealous now. 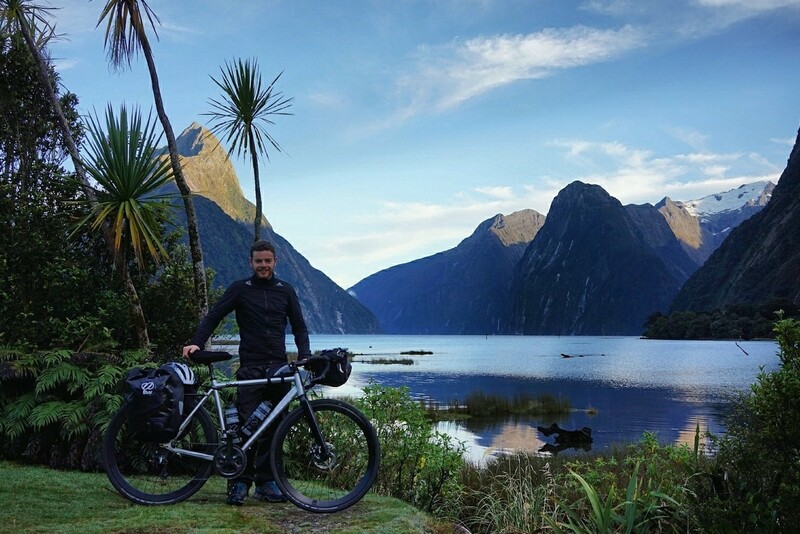 How did you came up with idea to discover New Zealand by bike all on your own? New Zealand it was always one of my dreams. The country is surrounded by nature. It is one of the few places in the world where you can literally breathe adventure. The wind is strong, the weather is mad. It is a remote place with amazing landscape. I prefer to travel alone because it is a way to understand more about the country and myself. It is more easy to get in touch with strangers, find interesting stories and it is more challenging for me. 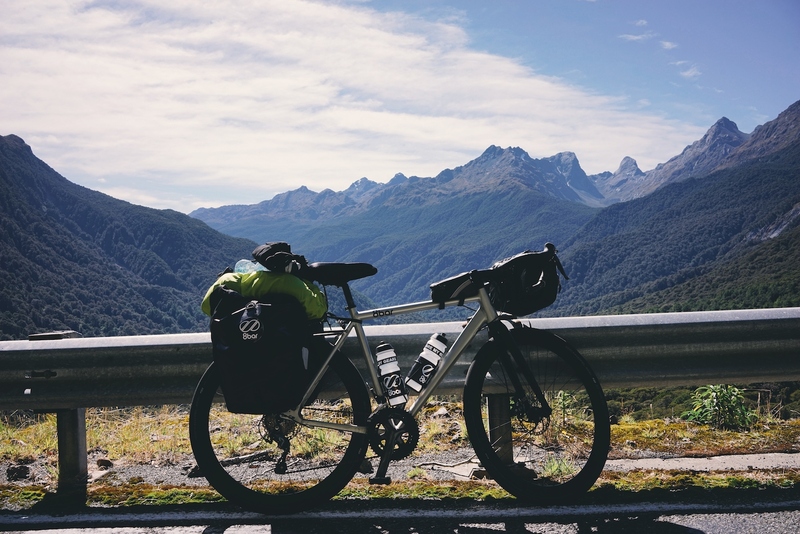 Why did you choose to travel by bike? 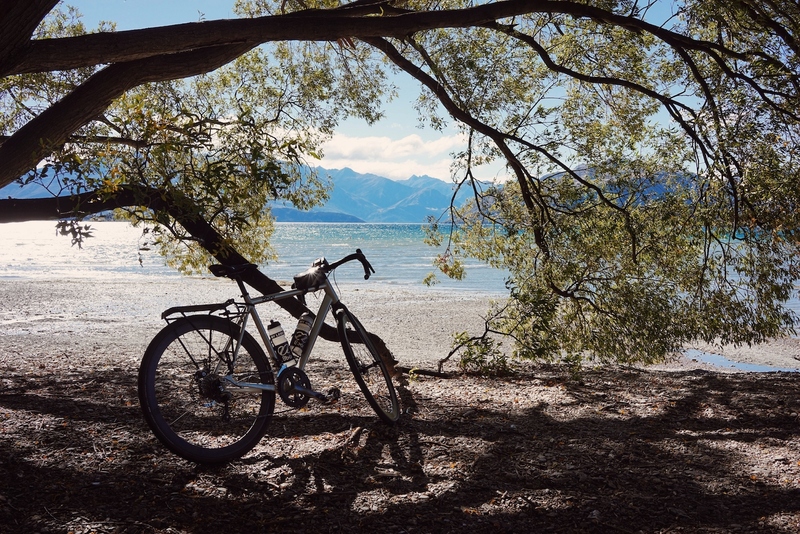 I was looking for an independent way to travel and the best way to visit a country like New Zealand is with the bicycle, because it is an environmentally friendly way. With bike you are in touch with the surroundings, with nature and people. The adventure is more real. Also it is a slow and free way to travel. You can go wherever you want and take your time. 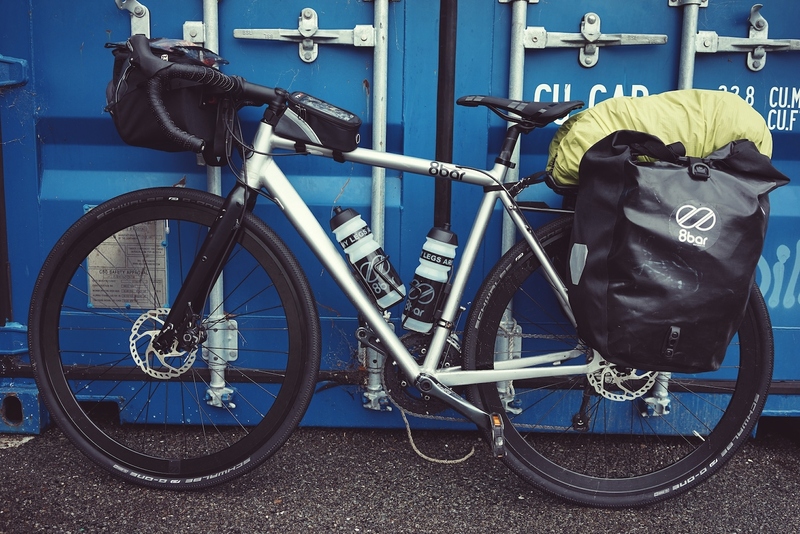 My first trip by bike was the most challenging, because all was new for me: the setup of the bike, the pain, cycling with wind and rain – it was difficult. But from that trip I learnt a lot about this kind of adventures and myself. So I have decided to do most of my travels with bike. Did you do some trips in other countries before? Tell us something about your setup for New Zealand. What did you take with you? By doing my trips I have learnt a lot about efficient packing and to travel light. At least I try to travel light, but as a photographer I have an extra baggage to take with me. I usually take 20 kilogram of stuff with me but during the trip, with the water and the food, it was 25 kilogram or more. I take with me only the most necessary things: medicines, 2-3 t-shirts, a wind jacket, a waterproof jacket, one jeans, one waterproof pants, 2 shorts, tools and spare parts for the bike, camping stuff (tent, sleeping bag, air pillow, air bed) and as I said a lot of photography stuff (3 cameras, 2 tripod, lens, batteries, 3 power bank, cleaning accessories). I never miss something but in the past trips I’ve taken a lot of useless stuff with me, but with the experience it does not happen anymore. You travelled with 8bar MITTE. What was your experience with that bike? I have done 2,300 km with an elevation gain of 19,576 meters. I cycled in the rain, during a flood period, on dirt roads, with strong winds and the bike was always reliable and durable. I had the chance to try a large number of bikes on my previous trips and I have to say that 8bar MITTE is the best bike for an adventure trip. The ride is smooth, the riding position is perfect for a long ride. Indeed it is the first time during a trip where I didn’t feel any pain. The 8bar MITTE is a bike that doesn’t go easily in trouble. 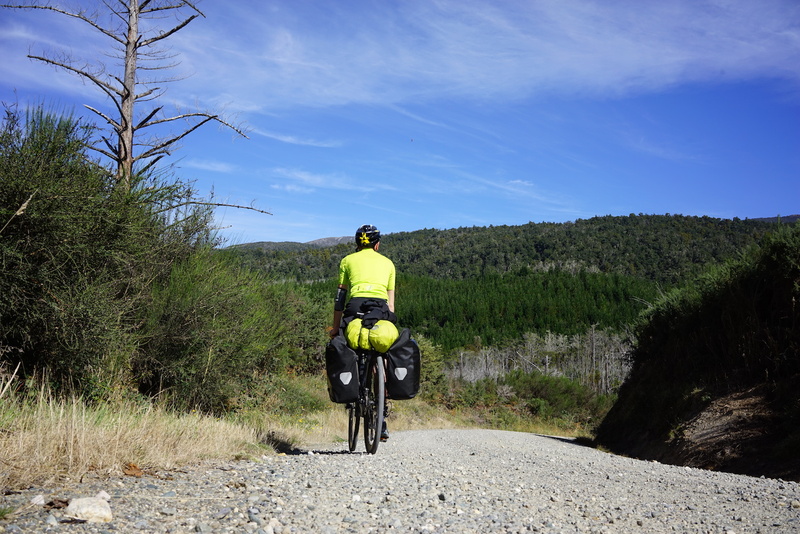 I faced several dirt roads in New Zealand without slowing down and punctures. It is a bike conceived for long adventures. 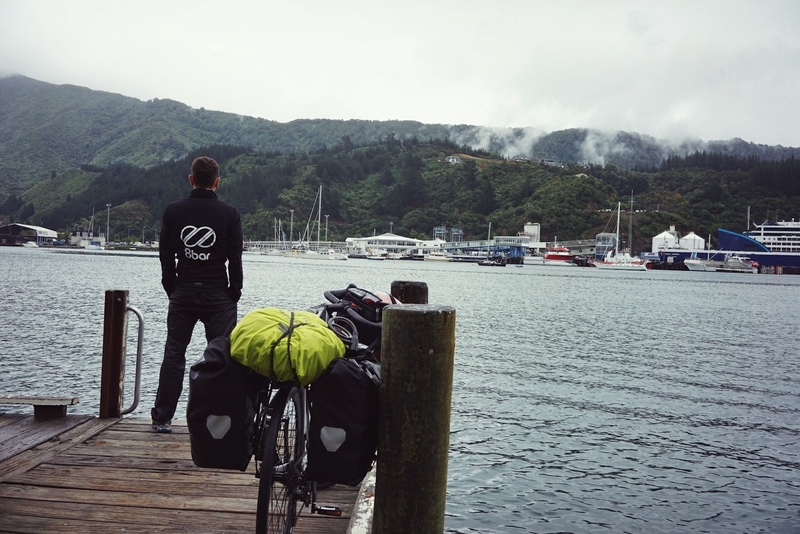 In New Zealand it has exceeded all my expectations, has held up very well the weight of the luggage, a total of 25 kg, remaining stable pedaling. In conclusion, the 8bar MITTE is really a bike made for the adventure, to get dirty, to go fast without sacrificing strength and also it is really beautiful! To make us even more jealous we would like to know your greatest experience you had on your adventure. What was the most amazing place you have been to? 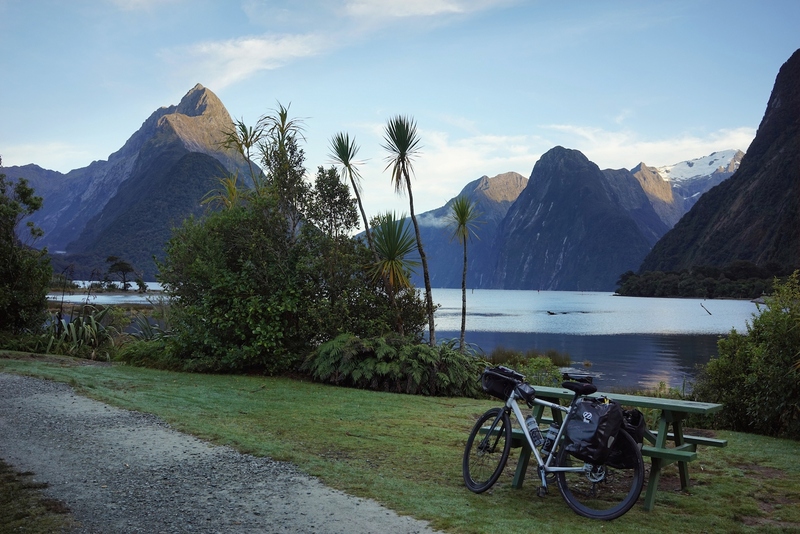 Milford Sound for sure, not a lot of cyclists go there because there is only one way. The road is really thin and dangerous and full of uphills, but the reward is unbelievable. The road is difficult but absolutely beautiful, surrounded by big and verticals mountains and through many forests who guide you slowly to the bay of Milford. That split second when my eyes falls on the bay, in that short span of time a strong discharge of energy pass through me. A shiver runs through the body, a stunning beauty who can recharge my tired body. A view without adjectives, how to define the most beautiful place ever seen. A timeless beauty, with the mountains caressed by the soft clouds that skim the giants rough, clear waters, exotic vegetation, the air so fresh and pure, all the elements of a utopian paradise of indescribable beauty. In that split second the mind is lost in a lot of information to process, lost in the passing of time, you get stuck. I think is clear enough, the view of the bay of Milford Sound is definitely the best moment of my trip. Know more about Roberto’s adventure on his BLOG and by following him on Instagram. We <3 cyclists. Please meet … Ayse!